In our glossary for telematics and logistics you find the most important terms from the world of wireless data communication briefly explained. Please click on a technical term of your choice from the list below to open the definition text. refers to the adaptation of logistics services to the diverse needs of various industries. Many service providers specialize in order to serve specific industries optimally with regard to transportation requirements, warehousing and handling. TIS provides custom tailored telematics solutions for various industries. The goal of agile software development is a flexible, slim design process with few rules. The method thus differs from traditional software development processes. is an opto-electronically readable font in 1D bar codes consisting of main beams in different thicknesses and intervals. The information contained can be read and processed by optical readers. Below the bar code the contents of the bar code can be found in a readable form. Of the electronic capturing of a bar code fails, the information may be captured by manually entering the number sequence. Today Barcodes are used for various purposes. In transportation they usually contain information about the shipment or the package. The handhelds offered by TIS are equipped with high-performance readers (laser or imager) capable of decoding bar codes in milliseconds. In addition to fast and reliable recognition of bar codes, the ergonomics of the device plays an essential role in the prevention of health problems in the warehouse. Under the brand name TISPLUS the TIS experts develop practical accessories that target precisely these critical issues. With the Trigger Handle from TIS for Zebra MC95 for example, the device is turned into a professional warehouse scanner, allowing fatigue-free work over long periods of time without any problems. In short: Bluetooth is a radio technology which connects different devices within a local area. During the mid 90’s Ericsson was commissioned to conduct a study, to identify an adequate replacement for cable connections. On the basis of this study, the companies Ericsson, Nokia, IBM, Toshiba, and Intel defined a standard, which defines binding specifications for a wireless radio transmission standard – Bluetooth was born. The name Bluetooth dates back to the Danish King Blåtand (commonly known as King Bluetooth), who lived from 910 to 986 a.d. He united large parts of Scandinavia to one kingdom. This new networking standard for the networking of mobile phones, computer (periphery) etc... was to create the same unity in the communications market, as once King Bluetooth brought to Scandinavia. The Bluetooth standard’s main objective is to create local area wireless connections between different devices (handhelds, PDAs, mobile phones, digital cameras, printers, projectors, etc…). A significant benefit of this standard is that these devices can independently connect with one another – making establishing a connection very simple. The Bluetooth range is ten meters, for special applications a range of up to 100 meters is also possible. Energy saving functions built into Bluetooth ensure longer battery operating periods of the individual devices. In the meantime, Bluetooth is being supported by a large number of hardware and software manufacturers. Theses hardware and software manufacturers came together to form a common forum, namely the Bluetooth SIG (Special Interest Group). Bluetooth devices have become a common part of day to day life. As a rule, every modern day mobile phone is equipped with Bluetooth, even the hands free kits for cars connect mobile phones to the vehicle entertainment system via Bluetooth. What sets this standard apart: Any device officially designated as a Bluetooth device can communicate via this standard with other Bluetooth devices – regardless of the manufacturer. This is why a certification process is required to issue a Bluetooth label. The certification process ensures compatibility between all devices. Furthermore, Bluetooth eliminates the disadvantages associated with infrared interfaces (example with a cell phone or PDA or a television remote control). A line of sight between the devices enabling the devices to connect is no longer required. This term in groupage freight transport refers to a directory with detailed information about the individual shipments (receiver, sender, identification, etc.) including handling advice and delivery information. The document is part of the shipping documents. In TISLOG we also use these terms for the list of delivery and / or pick-up stops of a tour. are used for bulk material, but also for general cargo. Characteristic are the filling holes in the roof and discharge holes on the sides. Since bulky goods often can not be treated and transported according to standardized procedures - for example, do not run over package bands - many transport companies for the transport of bulky goods require a surcharge. Bulky goods are items that are beyond the defined dimensions or weights of packages. Companies which use the mobile order management software PSV3, can easily and quickly identify and collect bulky items with the add-on module "Dimensioning". describes the integration and use of personal mobile devices (laptops, tablets, smartphones) in enterprise networks. The introduction of BYOD concepts always requires solutions that take legal issues (data protection, tax law, tort law, etc.) into account in addition to IT security aspects. 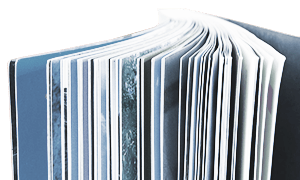 For more detailed information, the guide of the organization BitKOM holds valuable suggestions available. CAN-Bus is an asynchronous, serial bus system for the networking of automobile control devices. CAN Bus reduces cable trees (up to 2 km per vehicle) and reduces weight. includes all company-owned vehicles of a company or government agency, that are managed collectively. The vehicles in a car pool are typically used by various drivers and can be both cars as well as trucks. The largest car pools are found in carriers. serves the optimal utilization of transport capacities. Here the logistic redistribution and bundling of consignments takes place. Incoming shipments from different senders on large trucks for a receiver are collected, redistributed and summarized on a smaller vehicle for direct delivery to the customer. Commodity flows can be efficiently combined and time can be saved. refers to a package or a loading unit that consists of individual, bundled units. To create casks, often loading equipment, such as pallets are used, on which the individual components are fixed and held together with ribbons or foil. Cargo transported as containers is internationally known as collo. A contradiction to containers, for example, is bulk cargo. = Courier express parcel services. CEP services differ in many aspects from freight forwarding services. Therefore, the deadline monitoring and tracing require special measures. The stop density is much higher than in general cargo traffic and most shipments are time-critical. Monitoring and documentation of delivery times is therefore very important. Since the time window of the turnover depots also is very small seamless data management is absolutely necessary. The turnover processes must be extremely slim. Routing in the depot must run scanner supported. Master barcodes for part-distance transport of cumulative shipments over multiple turnover points require processes that go beyond the usual cargo standards. If very special requirements such as those of the pharmacy supply add on top, also the documentation on-site must meet specific requirements. Night deliveries and deliveries without acknowledgment donors require special strategies. The fast-growing Internet business and online shopping require new lean processes in the management of return shipments. Here TIS has developed new complete solutions for the mobile order management. The smallest identifiable unit in one shipment. The terms "Collo" plural "Colli" are used synonymously for “package“ or shipping / trading unit (TU). One or more colli / TU together form a shipment. Package or collo is used here regardless of the size or type of packaging. denotes the repair cost contract with Motorola for a Motorola product. The Comprehensive Coverage service can be completed when purchasing a unit and usually includes three years of free repair claims for the device. describes the repair agreement with Motorola for a Motorola product. The Comprehensive Coverage Service can be completed when purchasing a device and usually includes 3 years of free repair claims for the respective device. For cross-border movements of goods within the EU the so-called confirmation of arrival becomes effective from 1.1.2014 as legally required proof of the border crossing and is therefore an essential requirement for a VAT-exempt invoice to the consignee (in addition to accounting and documentary proof). For the confirmation of arrival there are sample forms available in DE, EN, FR, but their use is not mandatory. Also packing slips can be used as proof, for example, if the destination and the arrival month appear on the slip and the reception of the goods is confirmed by the signature of an employee of the consignee on the delivery note. The confirmation of arrival is mandatory for self - deliveries by the consignor - this is important for craft businesses or service companies. If the transport of goods is carried out by a transport service, then alternative evidence is admitted, for example a bill of loading, which is signed by the sender and receiver. Tracking and tracing protocols provided by the transport service to their shipping customers are also allowed. Through the use of telematics solutions such as TISLOG cross-border transport services can therefore offer significant procedural facilitation for their shipping customers. The exact legal requirements for confirmation of arrival or alternative proof can be found in § 17a UStDV (http://www.gesetze-im-internet.de/ustdv_1980/__17a.html). We will be happy to introduce the TISLOG solutions to you. describes the packaging of goods after customer’s order, for example, by ordering from a catalog. In high rack warehouses picking is nowadays normally handled by machinery. In smaller warehouses, even today this is done by warehouse workers. Here, the error rate is significantly higher. Therefore here often are two employees handling the collection and control of the order. The use of a mobile order management software, such as TISLOG from TIS, supports employees and reduces the risk of incorrect or incomplete deliveries or compensation claims. describes combining the flow of goods in logistics in order to make the transport process more cost effective. There is a difference between temporal and spatial consolidation. At the time of consolidation, goods to be sent to the same destination, so collected until the transport capacity is fully utilized. This type of transport is only suitable for non time-critical shipments, as it may cause delays in transport. The advantage lies in the possible shipping discounts. The spatial consolidation is a local clustering of shipping goods. Items are collected from multiple locations and delivered to multiple destinations. This means that the supplier makes stopovers. For non-time-critical shipping goods here again the advantage are possible shipping discounts. 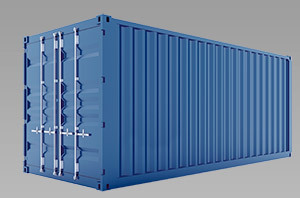 A container is a standardized large trailer for the transport of goods standardized on the sizes 40 and 20 feet. 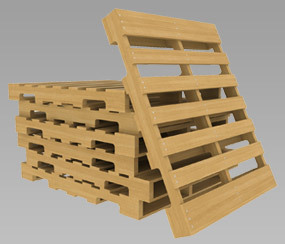 The standardized shape and size allow optimal stacking and fast loading on ships, trains or trucks. As special variants air freight containers that are adapted to the shape of an airplane and refrigerated containers with special devices for cooling of the transported goods are existing. is a branch of the so-called CEP services - courier express parcel services. The courier service transports smaller packages and letters over short distances (usually within a city) from sender to receiver. The service is performed on an individual route without detours in a way that allows for the fastest possible delivery. Courier services are therefore particularly suitable for time-critical small consignments, where punctuality is essential. is an initiative of the Federal Ministry of Internal Affairs (BMI) and serves as confidential, secure and verifiable way to send and receive e-mails. The service has now developed into a means of mass communication and is offered by so-called De-Mail providers (private companies). But it is not only supposed to ensure secure e-mail traffic, important components are also a trusted document storage and a reliable proof of identity. Various shipping methods, such as the De-registered mail, complement the service. More info on DE-mail, for example at Wikipedia. DECT stands for "Digital Enhanced Cordless Telecommunications" and it is the digital radio transmission standard for a wide array of wireless connections. This standard is primarily used for wireless land line telephones. It is, however, also used for the wireless transmission of data. DECT's main benefits include high quality voice transmission, high level security, greater transmission range as compared to WLAN, as well as low susceptibility to interference from other radio technologies. TIS provides efficient and high quality products for wireless data connections, which utilize the radio transmission standard DECT to exchange data. is the warehouse from where the delivery of a shipment to the receiver is processed. A depot only serves the immediate surroundings and is used to store shipments for different reasons: Consignments can be redistributed again, picked up by receivers or be stored for returns. Ususally CEP services maintain their own depots. is used in groupage freight logistics and occurs in the turnover of goods. The product is unloaded from a truck in the receiving depot and immediately redistributed, for example by forklift, without stops or temporary storage to another truck. For this process, the use of a TMS is indispensable. The goods are registered by scanning and identified by the TMS. The TMS then informs the depot employees which truck must be loaded with the received goods. The TISLOG software by TIS supports these logistics operations with add-on modules, which for example can be used to document damages or shortages directly during the reloading process. In direct traffic goods are transported from the consignor to the receiver without reloading. Thus goods can be transported directly to a receiver on an optimum route. This saves time, but is often also associated with higher transport costs. Direct traffic is found mainly at partial and full loads or courier services. serves the organization/ planning of orders with current performance requirements to the available resources. TISLOG office Infodesk, our browser-based TISLOG Internet portal for the visualization of data exchange between mobile workers and headquarters supports your dispatchers with the optimized utilization of your capacities and monitoring of your logistics processes. EDGE (Enhanced Data Rates for GSM Evolution) is a technology which increases data transmission rates within the “normal” (GSM) mobile radio networks. EDGE is the next generation development of the GSM mobile radio standard and can be integrated into the mobile radio network by network operators. Maybe you've experienced the following: When you are on the road and you access the Internet via your mobile phone to "surf" the Internet you are using GPRS. GPRS offers the same connection speed as a modem that you would use at home (max. 57 kBit/s). Due to the fact that UMTS, the faster alternative for mobile Internet and e-mail (384kBit/s), is not available everywhere, EDGE could be a real alternative. T-Mobile sounded the starting shot for EDGE in Germany at the 2006 CeBIT. T-Mobile is presently conducting field tests with EDGE. As soon as the mobile radio operators base stations support EDGE technology and you have an EDGE supported mobile device (mobile phone, PDA, etc…), you will be able to take advantage of EDGE’s faster transmission rates (64 to 128 kBit/s) as compared to GPRS for mobile Internet. Currently EDGE has been implemented in 75 countries. Due to the fact that most European countries are implementing UMTS in the near future, EDGE will most likely only play a minor role. In countries, such as the United States, in which the UMTS licensing process is taking its time, EDGE could become an interesting and attractive alternative. EGPRS (Enhanced General Packet Radio Service) is the next GPRS generation providing even faster data transmissions. An electronic signature is data with which the signer i.e. the signatory can be identified. This provides a manner in which the integrity of the signed electronic data can be checked. As such, the electronic signature fulfills the same purpose from a technical vantage point, as does a hand written signature on a paper document. In trade and in warehouses merchandise management systems are used to handle order computer-controlled and automated. The software captures stocks and flows of goods. Thanks to the ERP system, the user always has the overview of the number and type of items sold and existing inventory in the warehouse. The correct and full capturing of goods is a prerequisite for a functioning ERP system. This is done by humans, often by scanning. With the Terminal Emulation Wavelink barcode scanners can access the ERP system directly. ERP (Enterprise Resource Planning) defines the process by which enterprise resources are optimally allocated (capital, working assets, or personnel). ERP systems are comprised of complex application software to support the resource planning of an entire enterprise. is used in the transport sector and subject to policies, standards and labeling requirements with regard to dimensions, weight, manufacture and repairs. Its dimensions are 80x120 cm and is accessible from four sides for forklift or forklifts (pallet trucks). in logistics refers to all company-owned vehicles (such as trucks, ships or aircraft) of a transport company. FMS = A fleet management interface (= Fleet management system) is an interface that allows access to various vehicle data of heavy duty vehicles. It is offered by major manufacturers of commercial vehicles as a brand-independent standard interface. In case of interest in possibilities of analyzing vehicle data the FMS interface should be ordered already at the time of buying a new vehicle. Retrofitting is usually a costly affair, which can be avoided through the use of the Squarellbox within TISLOG projects. A forwarding agency is different from carriers/ haulers. The service of carriers/ haulers are transports. Forwarding agencies organize transports, but also often carry out transports themselves. In addition many carriers offer services related to transport, such as storage and distribution of goods in transit. For freight forwarders TIS offers the mobile order management system TISLOG, that can be easily integrated into the existing IT structure of a forwarding agency and via interfaces cooperates with the existing forwarding software. designates which party shall bear the cost of shipment in the shipping process. Free house means that the receiver does not have to carry any freight costs during the transfer. However, this does not mean that the recipient is not charged a partial delivery fee when ordering. Non-free means that the recipient must pay for the freight cost when transferring. The term originates in freight transportation. A single consignment from a sender fills a complete transport vehicle or a complete transport container. The shipment is transported to a single receiver in near or long distance traffic without warehouse turnover. Benefit to the recipient: All goods arrive at the same time. refers to the transportation of goods over long distances, usually without redistribution of the goods during transport. in logistics is anything that can be transported individually in one piece. This can range from individual boxes, bundled packages, pallets and can also to include machinery or paper, and others. Cargo is often referred to as groupage freight. Typical is the summary of many different shipments on the main transport route and the fine distribution in the reception area. A distinction from general cargo, for example, are freight goods, bulk materials or liquids. GPRS is the abbreviation for General Packet Radio Service. This service is based on the current mobile telephone standard GSM. GPRS is used for the mobile transfer of data. This form of data transmission divides the individual data information into small data packets. The data packets are then sent and data packets are reconstituted to the original information at the receiver i.e. mobile telephones, PDAs or MDEs among other devices. If GPRS is activated, only a virtual permanent connection exists with the counterpart, the so-called always-on operation. A transmission channel is only used if real data is being transmitted. Due to the fact that only data packets are being transmitted, the user does not pay for the duration of the connection, rather only for the amount of data transmitted (volume-related invoice). GPS and Galileo – What sets them apart? The GPS system consists of a network of GPS satellites that are positioned around the globe. In addition, the so-called GPS receiver (also known as “GPS-Mice”) is needed to receive and analyze the satellite signals. The GPS receiver can calculate its position by triangulating the data it receives from more than three satellites. The receiver, however, only plays a passive role in locating and visualization of the location of vehicles. To ensure the dispatcher "knows" where a specific vehicle is located, the position calculation of the GPS receiver in the vehicle must be transmitted to the main office by suitable technical means. To facilitate this, a mobile communication system is required. In simplified terms one could say that an intelligent, active locating system contacts the GPS receiver via radio waves. At first GPS was exclusively used for military purposes. GPS is, however, increasingly being utilized in the civilian world - around the globe. The most well known application example of a GPS system is the navigation system for vehicles. With the help of an external or integrated GPS receiver, today navigation systems "know” the exact location of a vehicle, in which the system is installed, within just a few feet. This significantly simplifies route calculation and route changes, because "Navi" knows the exact position of the vehicle. Galileo is a new European satellite navigation system, specifically developed for civilian use. The system is to be up and running by late 2010. The system is comprised of thirty satellites (27 plus three backups) which circumnavigate the earth at an altitude of approximately 23,260 km, as well as a network of base stations, which control the satellites. In 2004, the serving US Secretary of State and the chairman of the EU Secretaries of State agreed that the Galileo system would be compatible with GPS, so that both satellite supported navigation systems can be used in parallel. in logistics describes the combination of several cargo shipments bundled to a collective load. The cargo is picked up from various senders and becomes merged in the shipping depot. During the night the collected items are transported - often passing a centrally located transshipment hub - to the receiving depot and finally distributed to the individual recipient. is a term used in groupage freight logistics. It is the inventory registration of a turnover hall after loading and leaving of the loaded trucks. Merchandise that was actually intended for transport but remained in the hall is recorded, reasons determined (forgotten, damaged, incomplete, canceled) and determined whether further treatment is necessary. in logistics are all objects, substances or liquids (such as explosives, gases, toxic, radioactive and corrosive substances) that pose hazards to public safety, people, animals and things during the transport process. Transport of hazardous goods must therefore be specially marked and comply with specific regulations. HF (High Frequency) is a radio standard in the RFID range at 13.56 MHz. The topic of our last Newsletter column “Technology for the not so technologically inclined” was entitled “What is GPS?” Here is a brief recap of the column: GPS is the abbreviation for Global Positioning System, a satellite supported navigation system. GPS was originally conceived by the US Department of Defense for military use. Military use includes positioning and navigation of warships and military aircraft. Today it is also being used for civilian applications, which require locating and positioning. The most well known application example of GPS is the navigation system for vehicles. There are, however, a great number of different GPS aspects, which we could not address in this general excurse. We would, however, like to address a significant factor here. One of the most frequently asked GPS questions is how accurate is it’s positioning, i.e. exactly how precise is the navigation system with regard to the positioning of a GPS receiver. Up to May 2000 the positioning accuracy of the GPS system was within approximately 100 meters. This high degree of inaccuracy is ascribed to the military origin of the navigation system. Due to the priority military use of GPS, the US military reduced the GPS signal range of accuracy for civilian use. The so-called “Selective Availability” was applied to civilian use of the system. On May 2, 2000 the White House issued an order to revoke the “Selective Availability” of the system. Since then much more accurate positioning is possible with GPS. Depending on the technology and the price of the GPS receiver, the system is accurate within just a few meters. With this special add-on technologies and extremely expensive receivers, the system can even be accurate up to just a few centimeters. Taking the high costs associated with the extremely accurate GPS receivers into account the respective scenario for individual applications is decisive in determining the cost benefit ratio of the application. As such the cost and the value add the more accurate systems offer, would not justify their use in tracking vehicles. The cost benefit ratio of accuracy to the next centimeter would be disproportionate for this application scenario. is a term from the transport sector and refers to a main distribution base. The Hub is a central point, where shipments are collected, sorted and redistributed. is the browser-based internet portal for the visualization of data exchange between mobile workers and the head office. Since 2015 InfoDesk is offered under the new product name TISLOG office. refers to cross-border supplies of goods within the EU (European Union). These supplies are exempt from import VAT and customs duties. This requires that both sender and receiver are located within the EU, the goods cross a border - but are moved only within the EU. Corporate clients as receivers need a Tax ID for the tax exemption. refers to any transport processes carried out for a producing enterprise for their own purposes. Intra-company transportation is carried out by the company’s own staff, with the company’s vehicles, at expense of the company and is excluded from economic competition. The term Intralogistics refers to all material and goods flows within the locistic structure of one company, e.g. in warehouses (incoming goods, control and outgoing goods). With the Telematics software TISLOG intra the TIS GmbH offers a solution especially adjusted to the requirements in warehouses. IP (Internet Protocol) is a worldwide protocol for data transmission within networks. LF (Low Frequency) is a radio frequency standard in the RFID range at 125KHz and 134.2KHz. refers to carrying or enclosing objects (such as pallets or containers) for aggregation of individual goods to a transport unit. is part of the consignment documents and needs to be present during transport. The loading list contains information about all items of a transport and serves the documentation at the client's site, but is also important during checks and inspections of a shipment by authorities. TISLOG is able to replace the paper loading list. The driver then has a stop list on his device with all shipment information. is a calculation dimension in freight forwarding and transportation to calculate the load compartment of a means of transport. includes the organization, management, deployment, and optimization of processes along the value chain or supply chain. It affects the flow of goods, information, energy, money and people. More about the differences and similarities of logistics software and shipping software. Mobile data terminals are mobile devices, with which for example shipment and order data can be recorded, received and sent on the go with the help of our TISLOG software. Most modern devices also offer scanners and photo functions for optimized documentation of the transport process. Order management is the handling of orders within a company. In transportation usually this includes the mobile processing on the go - the mobile order management. Typically a mobile order management software is used, such as TISLOG from the TIS GmbH. The goal of order management and mobile order management are the involvement of all related parties (from the sender, over the transport provider, the customer, warehouse and executive workers, such as drivers and sub-contractors) across the entire process chain and a transparent transport process. This allows fast and efficient order processing, minimizes risks and increases customer satisfaction. This technical term from the transport sector describing the complaint of any damages or defects on or (wholly or partly) missing cargo. For documentation of damages through the driver, the photo function in TISLOG is the ideal feature. in logistics refers to the transportation of goods overnight. is a term from the transport sector and refers to the partial utilization of a truck. If the load is less than the maximum load the truck can carry, this is referred to as a partial load. Several partial load can be combined into a full truck load (FTL). for many private and commercial shippers is an important criteria in the selection of a delivery service, because this information describes the average duration of transport to the recipient. More and more transport companies optimize their processing times in order to remain competitive. In this optimization, for example, also mobile order management software, such as TISLOG from TIS is used. ensure the supply of goods and services in sufficient quantity and quality for a company through the planning and control of all necessary processes (such as shopping and transportation). is the mobile order management software from TIS. PSV3 offers a powerful and flexible solution for Windows Embedded 6.5 handhelds. Since 2015 along with additional software products PSV3 is offered under the product name TISLOG mobile PSV3. With TISLOG mobile PSV3 are easily integrated into a company's IT infrastructure. TISLOG mobile PSV3 includes features, such as direct sending of job data to mobile workers, receiving data captured through mobile devices, therefore quick and effective response times. is a software solution developed by the TIS GmbH for smartphones and the charter use of transport companies without a permanent contract, for example in transport overhangs. Learn more about TISLOG Smart. is the basic software package from TIS for mobile order management on the road. is the basic software package from TIS for mobile order management in Intralogistics. RAM (Random Access Memory) is storage that is used randomly - the storage is used as needed by various programs once the storage is no longer needed by a program it becomes available for another program - in other words it is used for the processing of programs. is an arm, mountable temporary with a suction cup or permanent by screwing in the car. The mount fixes "TIS Cradles" ( = vehicle mounts for various handhelds) in the vehicle. describes a variety of production methods that all serve the same goal: Transform existing computer design data, if possible without manual development of models or molds into finished models, or sample parts (= prototypes). For the in-house developed accessory products of our own brand TISPLUS, we use a 3D printer, which was purchased especially for this purpose. The printer allows the experts at TIS to generate a model of the designed computer hardware accessories for test purposes without detours. ranges among the most sensitive goods in transit and needs seamless monitoring during transport (cold chain), to avoid decay or contamination with bacteria. Reefer cargo usually concerns foods that should be stored and transported between 2 °C and 8 °C. Shipments of fresh, refrigerated items are usually offered only by specialized transportation service providers. With TISLOG TIS also offers solutions for special transports. is a term used in groupage freight logistics. It describes areas served by trucks. These areas are predetermined (often sorted by zip code areas). The warehouse has distribution lists and allocations in the loading area to already assign goods prepared for transport in the warehouse to the outbound tours to the respective relations. (also: collection request) refers to the shipment of goods back to the sender. is the handling of customer's returns of products that are not needed for different reasons. This processing can be executed in different ways. If, as customary in end-consumer business, the return does not take place in the form of return shipping by the buyer, usually a pick-up is organized by the consignor. In the business-customer area the returns handling is carried out for example during the regular supply of the same customer with goods. The returning goods are simply picked up during the next delivery. Handling of returns is as a service widely used in retail chain logistics. RFID (Radio Frequency Identification) is a technology for the identification of objects via radio beyond the line of sight. In part the technology competes with bar codes and has opened new opportunities for a wide array of application areas. ROM (Read Only Memory) is permanent storage that is used for the secure storage of data and programs that need to be permanently available to the CPU. is often used to define the resistance of industrial equipment as opposed to consumer products. Ruggedized mobile computers are characterized by a higher resistance to various unfavorable influences, such as drop, shock, humidity and others. The handhelds offered at TIS all meet this categorization. Our assortment includes both pure industrial equipment, as well as design symbioses: devices that connect the resilience of industrial equipment with handling features of consumer devices. SDK (Software Development Kit) ) is a package of program libraries of standard functions used by specific software. SKD makes the creation of software applications easier for software developers. is used to control the transport process to the end user. Logistics software handles the control, monitoring and optimization of all costs incurring during a goods transport, as well as data and information that must be exchanged between the shipper and the carrier. belong to the field of special transports. For this, so-called silo vehicles, trucks with special constructions (silos or tanks), are used. These silos can carry liquids or pourable goods to be transported. The SIM (Subscriber Identity Module)-card is a chip card that is inserted into a cell phone and is the basis upon which the phone can be identified. Cell phone providers provide cell phone connection and data connection on the basis of the SIM card. 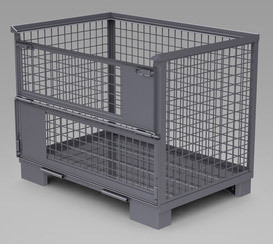 also skeleton container or wire mesh crate, iron-barred box, pallet cage is a loading equipment with a fixed carrying capacity (standardized on European dimensions), consisting of a steel frame grid construction often combined with a wooden floor. Newer pallet cages are collapsible for space-saving transport when empty. denotes the repair cost contract with Honeywell for a Honeywell product. The SMS can be completed when purchasing a unit and usually includes three years of free repair claims for the device. used to transport goods with special demands. Examples are transport of refrigerated, heavy or hazardous goods or materials. The mobile order management software TISLOG from TIS supports these specialized variants in transportation. Learn more about the possibilities with TISLOG in special transport. is a hardware module that allows the TISPLUS Truckbox access to and reading from FMS data without the necessity of intrusion into the vehicle electronics. Supply Chain defines the process a product or service goes through from conception through manufacturing to the consumer, this also includes each increase in value along the process (value add). The objective of Supply Chain Management is to improve the effectiveness and efficiency of the industrial value add chain. For example the supply chains of the automobile industry of textile valued add chains. also swap trailer is a transport unit. The swap trailer assembly can be loaded and unloaded while detached from the truck and then be taken up again. Thus transport capacities can be optimally exploited. The term originates from the field of information technology. A system house is usually an IT company. This company provides comprehensive services in the field of software and hardware, operating across manufacturers. System houses are full-service providers that besides hardware and software provide all additionally required services, such as consulting, development of IT infrastructure, application development and implementation, and adaptation of their own and third party applications to individual customer needs. According to this definition the TIS GmbH is also a system house. From the software over hardware, information technology and assistance with analysis and planning to the development and installation of complete individual IT concepts we offer all the necessary services and products for your logistics company from a single source. refers to the remotely controlled and automated reading, transmission and archiving of data from the digital tachograph by mobile computers. With the KLIF - which was first presented at the LogiMat 2014 - TIS have developed their own solution for all tachographs from version 1.3. (also: fuel container) serves the transport of liquids and gases. 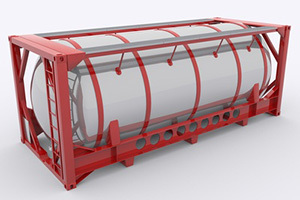 A fuel container is usually divided into several sections inside, to prevent excessive self-movement of the contents during transport. 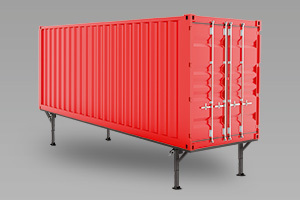 This type of containers is particularly suitable, for example, for dangerous goods or transport of liquid foodstuffs. is a composite term of telecommunications and informatics (computer science). In logistics, telecommunications solutions with software-driven solutions for order management, inventory control, electronic documentation, tracking, data transmission and much more are used to optimize the productivity in transportation. The telematics solution from TIS is TISLOG Logistics & Mobility. Telemetry is the transmission of sensor measurements to a remote location. This telemetric receiver gathers measurements and can also record or analyze data immediately. Telemetry is the wireless transmission of measured values, for example by cellular radio. In logistics, for example, vehicle data, such as fuel consumption are digitally recorded and transmitted via telemetry to computer systems that evaluate them. The creation of the FMS standard opened the reading of telemetry data from the CAN bus of the vehicle to others. Previously this was reserved for vehicle manufacturers. TIS has developed the Truckbox to read telemetry data in the truck. Information about the product can be found here. A terminal emulation is a software that maps the functionality of a terminal and enables interacting with a text-based program via a graphical interface. It should first be noted that both terms have several things in common: Both roaming and handover originate from the field of communications technology. Moreover both technologies are based on the same technology. If, for example, you are using your mobile telephone, you will most likely have frequently experienced both phenomena - without having been aware of it. Even though roaming and handover is also used with other devices than a mobile phone (for example WLAN telephone) and in other networks other than mobile radio networks, (for example: WLAN network within a company), the simplest way to explain the terms is by using mobile phones in connection with mobile radio networks as an example. If you have entered into a contract with a German mobile communications provider (for example with T-Mobile or Vodafone), you are still able to use your mobile phone outside of the country. Regardless, if you are on vacation in Spain, France, or Switzerland – thanks to roaming you can use your mobile phone in other countries as if you were at home. To provide this service, your mobile communications provider in Germany entered into a so-called roaming agreement with foreign providers, both providers connect their respective networks with the required signalization and data connections of that of their counterpart. With roaming you can use your mobile phone by accessing a foreign mobile communications network (international roaming). Such agreements not only exist between providers located in different countries, but also between providers within the same country. For example o2 has its own mobile communications network; it does however not cover the entire country. For this reason o2 entered into a roaming agreement with T-Mobile, if the o2 network is not available in rural areas (national roaming), the o2 customer is automatically connected to the T-D1-Network. Handover, on the other hand, does refer to a process between two communication networks; it refers to a phenomenon within a network. A mobile communication network consists of many cell towers and base stations. Each base station covers a specific area - the so-called cell. Your mobile phone checks into the nearest base station. If you are on the road with your mobile phone and you are moving from location A to location B, you may be leaving the original cell and you are approaching another cell's area. Your telephone i.e. data connection will not be interrupted during the transition from one cell to the next, because with the help of handover your phone checks into a different base station, this is processed in the background, without you noticing it. A handover is not only required when a mobile phone is moving from place to place and base station to base station. For example, mobile phones can check into a different base station, if a cell is overloaded or the reception quality is low. The handover can also happen in other communication networks: The GSM mobile communications network base station is the AccessPoint for your WLAN and/or DECT network. 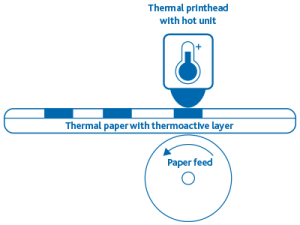 In thermal direct printing, a special paper is blackened by heat and imprinted this way. Apart from the paper or label roll, no further consumables (ink, toner, etc.) are required. However, the prints are sensitive to heat and light and may fade after some time. The direct thermal printing process is therefore used primarily for prints that are only temporarily in use. In trade and transport logistics, this is usually the case with tickets, shipping labels or receipts. In our portfolio you will find high-quality, robust industrial printers from different manufacturers. 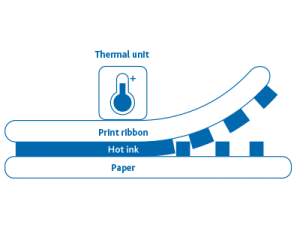 In thermal transfer printing, ink is melted and bonded to the paper by use of heat. These prints are more durable than thermal direct printing, are also possible in color and possible on a variety of materials. This printing method is more expensive and more material-intensive than direct thermal printing, and is therefore used above all for long-lasting prints, such as for example for food labeling, quality control or device labeling. In our TISWARE portfolio you will find various industrial printers for every need. is the in-house developed accessory product line of TIS. All TISPLUS products are developed directly at TIS, tested in reputable laboratories and produced 100% in Germany. Modern navigations systems use TMC (Traffic Message Channel) to circumvent traffic or construction sites (dynamic directions). TMC pro is a new traffic service. TMC pro is an entirely new service, only the transmission technology is similar to the old TMC. RDS sub-frequencies are used to transmit to AM stations. The key difference between the two traffic services is the data source. is comprised of all of the processing steps involved in the tracing of moving objects. Tracking is nowadays offered by almost all mail and parcel services and groupage freight forwarders to their customers. The customer can track the route and whereabouts of his shipments and is informed about the expected arrival. Shipment tracking involves specifically the proof of delivery with digital signature and time stamp. The mobile telematics software TISLOG enables optimum shipment tracking. In the trade logistics, there are a variety of flows of goods and heterogeneous goods structures that are handled by vehicles or services of the providers on various load carriers. A pre-routing to the appropriate logistics products (CEP, general cargo, cargo) is required. The loading scanning is system supported. Until the shipment arrives at the receiver, reliable information on status and GPS positions of the goods must be available. Ability to provide information and time window control are key features for a high quality of delivery. PODs must be quickly available. The quality management in trading requires dedicated data about time windows and loading equipment. In the course of growing e-commerce also a slim return shipment management is gaining importance. TISLOG and TISLOG office are valuable tools for mobile intelligence on the road and in the last mile area. Systems of many telematics providers can be integrated to ensure a complete overview of all flows of goods. in transport logistics refers to crossing a country with goods, which are neither unloaded nor transhipped in this country. Sender and receiver are located outside of the country. This process is particularly interesting in terms of customs duties: If the crossing of a country is only a transit, no customs duties on the goods transported must be paid. At this point the delivery costs for the transportation of goods transfer from the seller to the buyer. This trade term is generally agreed in writing in business transactions between two parties. This is interesting, for example, for overseas transports, in which the sender usually bears the cost up to the destination port. There the additional costs of transporting the goods transfer to the responsibility consignee’s company. Transponders are wireless mini modules. Passive transponders are known from RFID technology. They are used to identify goods or are components of access control systems. TIS uses active transponders (these require a power supply or battery) for the identification of a scanners in Intralogistics. They are then used to localize the devices in buildings. Mobile data terminals usually are not factory-equipped with such tracking options. These are therefore often retrofitted. The experts at TIS have developed special housings to integrate transponders in various mobile data terminals through a simple snap-on mechanism. The transponders are then powered by the device. Find more information about our Snap-on casings here. A TMS includes components for the organization, accounting, control and execution of transports in logistics. TISLOG is the software from TIS GmbH with many functionalities of a mobile transport management system. describes any tools that serve the transport of goods, such as pallets, boxes and other containers. The transport unit is defined for transfer orders as quantity, thus simplifying the billing and is therefore widely used in transport and trade. in logistics serve the turnover, meaning the short-term intake of goods from one and the further distribution to other means of transportation in transportation of goods. Transshipment warehouses are typically used in groupage freight. in logistics is a three-step process of transportation, handling and storage. Thus, the TUL-process includes all stages of a product on the way from the factory to the customer. UHF (Ultra High Frequency) a radio standard in the RFID range of 868 MHz. UMTS (Universal Mobile Telecommunications System) is a third generation mobile radio standard (»3G«), with significantly higher data transfer rates as compared to those of the GSM standard. UMTS is the basis for entirely new applications, like for example complex mobile multi-media applications. (also: empty drive) is a technical term from the freight transport. An unloaded drive refers to a truck driving without cargo. This can be the empty drive to the loading point, or the transport path between the drop-off point of one load and pick-up location of the next load. USB (Universal Serial Bus) defines an interface for various periphery devices via a connection standard. VoIP (Voice Over IP) is a transmission standard for language via IP. Calling friends and family via a fixed line is a thing of the past – today people stay in touch with each other across the globe using Internet telephony. While you are surfing the web, you can simultaneously place a call via the Internet. In contrast to conventional telephony, voice transmission no longer requires a fixed line telephone connection; all that is needed is an Internet connection. This type of telephony is called Voice over IP, or VoIP in its abbreviated form, because voice is transmitted via the IP network. The IP network is the Internet protocol, which is used both by computer networks and by the Internet to transfer data. A computer is, however, not required for Internet telephony, the only thing that is needed are special telephones and/or adapters, which utilize conventional telephones. The special telephone and/or adapter connects to the Internet and operates via VoIP. If a field employee accesses his E-mails at his hotel or exchanges data with the main office, he has to access the company network from outside the company network. If the employee connects to the company network via the Internet – and uses this connection as a medium to exchange the data, unauthorized individuals can access the data. Increasingly companies are installing Virtual Private Networks (VPN) to protect often times sensitive and business relevant information during transmission. The manner in which VPNs operate is quite simple. A smaller network is created via encryption within a larger network (of the Internet). One can only access the smaller network with the corresponding addresses and password, so that only authorized users are able to communicate with another. A VPN creates a monitored private line within the Internet and connects computers or networks to another. Prior to transferring data, the data is first encrypted and sent subsequently. When the data packet has arrived at the other end, the VPN decrypts the original packet. Since the data basically flows through a tunnel, this process is also referred to as tunneling. A particular VPN variant is offered by T-Mobile – the so-called Mobile IP-VPN. For this purpose a company employee receives a SIM card from T-Mobile. Should he use the SIM card in conjunction with a mobile device (PDA, notebook, mobile phone), he now can exchange encrypted mobile data via a VPN tunnel with the main office – without having to install additional software to do so. The VPN tunnel is made available via a T-Mobile server, which connects to the main office server. refers to all services and other activities around warehouse. Here, an entire industry has emerged, offering storage as a service and takes over the management of the goods (order processing, shipping, returns) for third parties. This offers advantages for both sides: The seller of the product saves money, because he does not have to operate his own warehouses. The storage provider on the other hand can utilize its capacity optimally, by offering its warehousing services to various third parties. For the special requirements of storage in warehouses TIS offers the mobile software solution TISLOG intra. Disposal logistics (or reverse logistics) includes all logistical measures for preparation and implementation of disposal. This includes all planning and implementing activities for reuse, recycling and proper disposal of waste objects. The order management software TISLOG also offers solutions for the field of disposal logistics. (also: consignment note) is the transport document of the contract of carriage and contains all important information about the sender, receiver and shipping goods. Retained therein, among other things, is the state of the cargo prior to shipment and the amount. Today within Germany instead of a way bill other accompanying documents, such as delivery notes or loading lists, may be carried. In the European and international freight within CMR Member States the so-called CMR must be carried. The WiMAX-Standard (Worldwide Interoperability for Microwave Access) is a standard of the „Institute of Electrical and Electronic Engineers“ (IEEE) ´for wireless mobile data communication, specifically for broadband Internet. Theoretically it can exceed a range of over 50 km and a rate of more than 109Mbit/s (at a bandwidth of 28 MHz). Based on WiMAX performance the technology is a possible alternative to DSL lines and UMTS connections. In particular, it is an alternative to DSL networks, in cases in which the installation of cable networks is too expensive. For this purpose 50,000 Euro WiMax communication towers would have to be erected. The WiMax communication towers have a transmission range of up to 50 km into rural areas. In cities, however, WiMax hotspots would have to be installed every 600 to 900 meters to ensure coverage, due to building interference. It is conceivable that in a few years 10 to 20 cells could be connected to form a local network. To accelerate the development of this new communication standard as the future alternative to the last mile in the land line area, the communication industry leaders such as Intel, Fujitsu, Siemens and Nokia have already come together to form the WiMAX forum. Currently there is strong WiMAX demand in Latin America, Russia, and India, unlike the tepid demand in Western Europe, because Western Europe is still focused on UMTS. If and how fast WiMAX will establish itself is still up in the air. It still needs to be determined if different provider and operator networks and devices will be 100 percent compatible. Different interpretation of the standard, for example in individual countries or by the manufacturers, often impede the worldwide sale of systems. Regardless if it is in the office or at home, regardless if you are a technician or non-technician, the term “Wireless LAN" or in its abbreviated form “WLAN” is (almost) known to all. This wireless connection to a network is particularly well liked by homeowners who surf and email from their home computer or laptop. To secure the communications connection with regard to confidentiality of data, a standard has existed for years to encrypt data within WLAN: WEP is short for Wired Equivalent Privacy. The WEP standard, however, has proven to be faulty and has not lived up to security expectations. Many years will however pass before this new standard (802.11i) is fully implemented. This standard was defined as a result of market pressure. This standard only contains the agreed upon and important features of the new 802.11i standard: the WPA Standard. This WPA encryption technology is significantly more secure than the current WEP standard, which one day may primarily be used by industry. WPA employs a so-called Pre-Shared Key, or PSK. With this key or password, which is defined in advance, the user device (for example a TISWARE mobile device) logs on to the respective AccessPoint. In order to prevent the key from being cracked or misused, new Temporal Key Integrity Protocol (in short: TKIP) keys are assigned in regular intervals. An additional option in this context is the Lightweight Extensible Authentication Protocol (in short LEAP). LEAP is a Cisco System proprietary standard. While currently all user devices that are logged on to an access point use the same authentication password, LEAP functionality ensures that each user device has its own authentication information (user name, password) assigned to it. What at first glance appears to be unnecessary additional installation work, can however prove to be a blessing should a key wind up in the hands of unauthorized individuals: Until now, if such a situation arises the password of each individual user device had to be changed, now all that needs to be done is to the change the corresponding key of one single device. You may ask what this has to do with TIS. Recently the functionality of WPA encryption technology has become an integrated component of our TISLOG software. As soon as hardware (for example your WLAN cards in mobile devices) also support these standards, you will be able to use the WPA encryption. The LEAP standard can also be used within the context of your TISLOG software solution. For more information please contact the TIS GmbH sales and project team. xMod -100pin Interface in WorkAbout Pro G1 or G2 extends functionality of a device. Ideal for in-house development.